With over three decades of practicing medicine, Paul T. Yoder, MD, specializes in getting to the acute needs of patients and providing comprehensive preventive care. Dr. Yoder treats patients at More MD, located in Surprise, Prescott, Prescott Valley, and Lake Havasu, Arizona. After earning his medical degree from the Medical College of Virginia at Virginia Commonwealth University in Richmond, Dr. Yoder relocated to the Midwest for his patient care training. He completed his internship and family practice residency at Indiana University Health Ball Memorial Hospital in Muncie, Indiana. Dr. Yoder maintains several prestigious certifications and licenses. 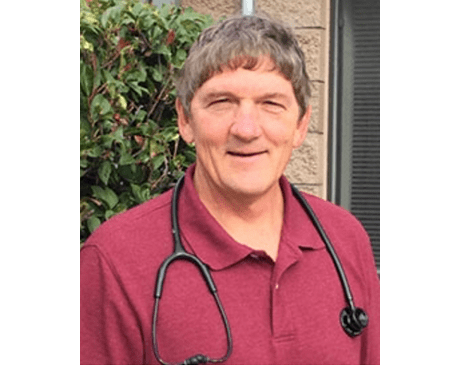 He’s board certified by the American Board of Family Medicine, a certified department of transportation examiner through the Federal Motor Carrier Safety Administration, and a licensed physician in both Arizona and Indiana. Being raised in a medical missionary family in Ethiopia inspired Dr. Yoder to dedicate his time to high-quality patient care, focusing on serving the underserved. Throughout his career, Dr. Yoder has spent significant time working in emergency medicine, urgent care, and occupational medicine. He also worked as a medical director for an Arizona-based community health center. When he’s away from the clinic, Dr. Yoder enjoys spending time with his wife and their three adult children.